"In all things of nature there is something of the marvellous." "Nature is always lavish of her gifts even to the most insignificant forms. The butterflies and moths are richly dowered in this respect." As well as the obvious mammals and reptiles, here we are including insects and other small life-forms in the fauna section. An interesting thought is that plant life (flora) could, in the main part, probably get on okay without animals being around, but without the plant life, animals would be in trouble. Perhaps more sobering when it is considered that Homo sapiens are part of the animal kingdom. As the woodland is developing and a new (compared to the farmland here previously) ecosystem manifests itself, animals are moving in to take advantage of convenient niches. Many we do not see and are just presented with signs that they are around; others are more visible. 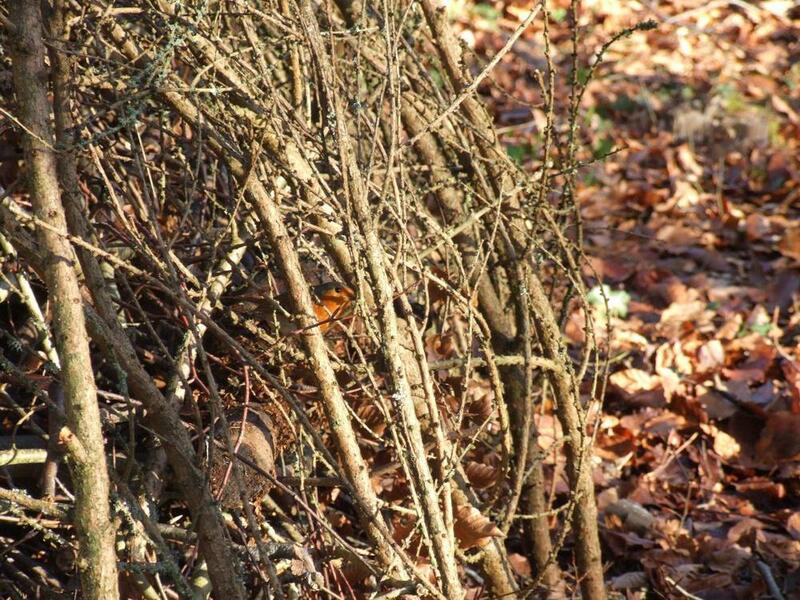 Small groups of deer have been taking advantage of the woodland cover, birds are in abundance, and in spring the woodland was abuzz with bumblebees hunting for nesting sites and food. Badger latrines are an interesting, if not necessarily pleasant indication of activity; and hares have been seen glimpsed. Making a mound on one occasion, I had stopped for a moment to take stock and was surprised to see a flash of red that was too small for a stoat and that could have been a weasel dashing into a section of the mound I was building. Miranda found an excellent example of an owl pellet that showed someone (the owl) was making a good living in the area and also came across the first frog that either of us have seen in the woodland. In this section you will find images of animals and insects as well as signs that they have been around.